Without a good air conditioning system, the long summer months can be downright unbearable. That’s why it is so important that you get the best system for your Baltimore County, MD home and that it is maintained properly over the years. When you come to Service Doctors, have confidence that you are getting the best possible products and service in the industry. We take great pride in the line of AC systems we offer and will be glad to help you select just the right one for your needs. We can also provide full installation, maintenance and repair services, so you will never have to worry about whether or not your air conditioning system will work when you need it to. If you are looking to have a new air conditioning system installed, there is no better place to come than Service Doctors. We offer a huge selection of great products and can provide expert installation for both existing structures and new construction homes in Baltimore County, MD. Even if you have never had an AC system installed in your home before, we can make the entire process quick and stress free. When the time comes to replace your old air conditioner, it is difficult to know where to start. After all, it has probably been quite a few years since you last had to go shopping for this type of equipment. 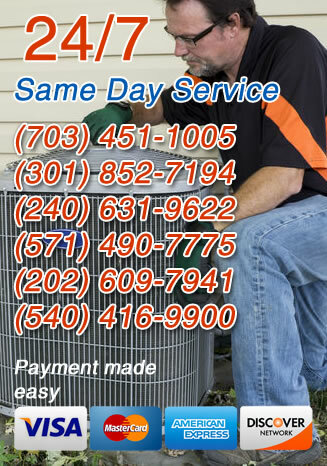 But with the help of our Baltimore County, MD cooling experts, this entire process can be made much simpler. We will help you find the right system for your home, take out the old system and put in the new one so that you can continue to enjoy a cool and comfortable home all summer without any hassles. Since an air conditioning system is such a substantial investment, it makes sense that you would want to protect it. And the best way to do that is to make sure that your system is properly maintained over the years. Our air conditioning maintenance services can help add years to the life expectancy of your system and will ensure that it continues to run as efficiently as possible for as long as you have it. The last thing you want in the middle of a hot summer day is for your air conditioning system to suddenly give out on you. But of course, there will be times when this happens. And when it does, the AC pros from Service Doctors will be there to help. Just give us a call and we will have someone out as quickly as possible to assess your situation and make the necessary repairs. Need service? Save with this internet special! Free service call with complete repair or replacement. Cannot be combined with any other special or offer. Purchase any new system and get a free Maintenance agreement. Save Money with Regular Maintenance on Your Heating and Cooling Systems.